A July 2014 Calgary Herald article revealed that Calgary’s lone fertility clinic, Regional Fertility Program, restricts patients’ use of sperm donors to those of the same race. This “no rainbow families” policy received both national and international coverage. The media attention prompted the clinic to release a statement on its website, claiming that the policy was discarded a year ago (though the clinic had failed to update its website to that effect). Furthermore, the clinic maintained that the views represented in the article were solely those of the physician interviewed, Dr. Cal Greene, who apparently was unaware of the clinic’s change in practice. This is a dubious claim, given Dr. Greene’s position as the clinic’s administrative director and the full transcripts of his interviews with the article’s author, Jessica Barrett. This news highlights the need for improved oversight of, and regulation for, fertility clinics. In addition, news of this clinic’s policy has given rise to complex, sometimes heated discussions among many about race, racism and good parenting. As someone who is mixed-race, I was surprised to hear support for Dr. Greene’s arguments in social media from non-white and mixed-race persons. They sympathized with Dr. Greene’s arguments that parents and children should have an ethnic or cultural connection (presumably secured via shared race). They specifically cited the many experiences of interpersonal and institutional racism they had experienced growing up as non-white or mixed-race. They reasoned that a same-race parent would be better able to prepare their children for, and support them through, such experiences, and that it was better to not bring a mixed-race child into a racist society if it could be avoided. I too have experienced racism, but I do not share these conclusions. In addition to assuming that everyone actually knows, let alone identifies with their race, this argument, as others have pointed out, conflates race, ethnicity, and culture in problematic ways. Consider, for example, a black woman born in an ethnically and culturally diverse Canadian city to visibly black parents but who passes for white. It is not clear to me what kind of sperm this woman could legitimately access according to this clinic’s former policy. Would it depend on how “ethnic” or “assimilated” her parents were? The argument presumes a race-ethnicity-culture connection that does not necessarily exist. Furthermore, such an argument problematically equates whiteness with neutrality and a lack of culture, and assumes that only non-white individuals have either culture or ethnicity. Are Irish women required to only use Irish donors in order to ensure that their children have access to Irish culture, or Italians with Italians? Such arguments also assume that parents of the same race as their children are the ones most capable of supporting their children through their experiences of institutional and interpersonal racism. Arguably, individuals of colour are better positioned to recognize and understand these experiences, but, this does not necessarily mean that they do. There are many people of colour who deny that racism exists or have internalized racist beliefs such that they might be just as likely to inculcate their children with similar beliefs. In my own mixed-race family, it was my parent of colour who most closely and assiduously policed race and most often reinforced racist ideas or beliefs. They also stressed the importance of my partnering only with individuals “lighter” than myself, lest their immigration to Canada for a better life be rendered “a waste”. One of my primary concerns with these arguments is the idea that physicians or any other health care professionals could or should be allowed determine the race or ethnicity of their patient, and then alter their practice on this basis. Allowing any kind of race-based reproduction policy seems grossly problematic in itself, and especially so when considered in light of Alberta’s fairly recent eugenic history, where it sterilized 2,832 people prior to 1972, six percent of whom were Aboriginal or First Nations. Indeed, the argument that we shouldn’t allow certain kinds of people to come into existence because similar persons have had bad experiences or difficult lives in the past makes the connection to eugenics explicit. This argument not only assumes that future individuals will live in identical social situations to those in the past, but it also assumes that those social situations are immutable. Furthermore, it has unpalatable consequences when extended to other oppressed groups such as those who are differently or atypically abled, sexual minorities and members of certain religious groups. None of this, of course, is to deny that racism and other forms of oppression exist, and that those, like myself, who are born non-white or mixed-race are likely to have more difficult lives than those who are not in a racist society. Ultimately, it is better to deal with these issues by targeting racism in its institutional and interpersonal forms rather than restricting individual choice and slipping into potentially eugenic thinking. Catherine Clune-Taylor is a doctoral candidate in the Department of Philosophy at the University of Alberta. For many Blks and others with easily discernible physical features and skin color differences there is a feeling of unfairness. Today treat a person as they see them. A “white” in a darker culture may have advantages in real life. To those with out that advantage there is conflict. 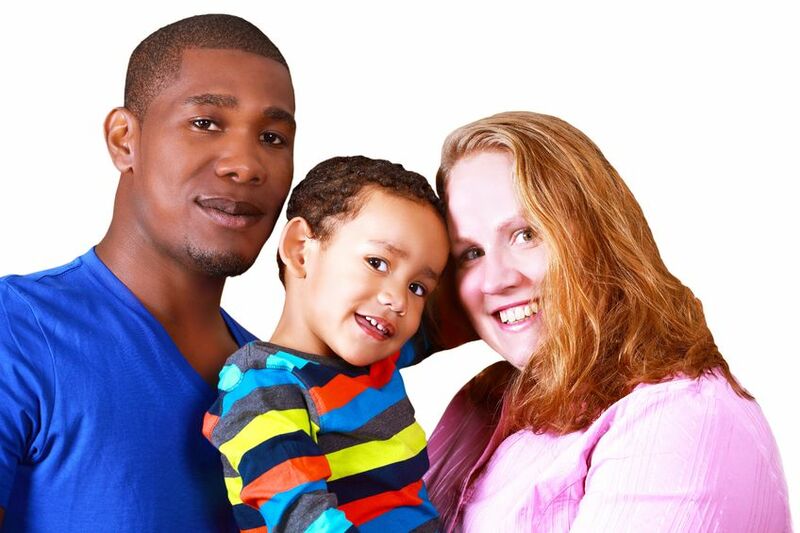 A interracial couple may have white looking children. Many racial minorities politically,are afraid that this will lessen their numbers and impact on issues that the leaders see as important. In earlier times there was a effort to “lighten” the race. Minority would breed with light skinned or white have lighter children and those children would move away as white. In Arizona abortions cannot be done because of race(silly). To those who will be left behind it is a sore spot. ← Which Lives are you “Pro”?